If someone had asked you a few weeks ago whether former New Jersey Gov. Chris Christie would ever be depicted as a beleaguered hero in a Michael Lewis book, it would have been reasonable to say the chances were low — lower, even, than Christie’s abysmal approval ratings when he left office earlier this year. Christie, after all, hasn’t done much to endear himself to the American public; early in 2016, his surprise endorsement of Donald J. Trump (who once called Christie a “little boy”) looked like the desperate move of a politician whose office was still smoldering from a payback scandal. But it’s 2018 in America, where anything can happen and everything is relative, and the opening pages of Lewis’s new book, “The Fifth Risk,” have Christie acting like an upright statesman during the run-up to the 2016 election, hoping to convince a chaotic Trump campaign to devise an orderly transition plan in case of victory. Lewis says this was like trying to persaude Trump that he needed to study for a test he might never take. Christie was soon dismissed from Trump’s team, and the transition proceeded accordingly — which is to say, shambolically. Two years later, out of more than 700 key government positions requiring Senate confirmation, only 361 have been confirmed, and a full 152 have no nominee at all. For the most part, though, he keeps the narrative moving, rendering even the most abstruse details of government risk assessment in the clearest (and therefore most terrifying) terms. He asks a handful of former public servants, now living as private civilians, what they fear might happen if Trump continues his haphazard approach to staffing the federal government. Their answers include an accidental nuclear catastrophe and the privatization of public goods, like government loans and drinking water. oning of federal agencies is a combination of incompetence and neglect. Lewis reports how the Trump team filled jobs at the Department of Agriculture with a number of decidedly nonagricultural nonexperts, including a country-club cabana attendant and the owner of a scented-candle company. Take, for example, Barry Myers, Trump’s nominee for the head of the National Oceanic and Atmospheric Administration. Myers also happens to be chief executive of AccuWeather, his family’s company. As a private citizen, Myers lobbied to prevent NOAA’s National Weather Service from having direct contact with the public, saying that “the government should get out of the forecasting business” — despite the fact that AccuWeather repackaged free government weather data and sold it for a profit. What Lewis doesn’t do is delve too deeply into politics, preferring instead to focus our attention on technical functions of government that everyone takes for granted. This tack will undoubtedly make the book more appealing to some of the government skeptics (i.e. 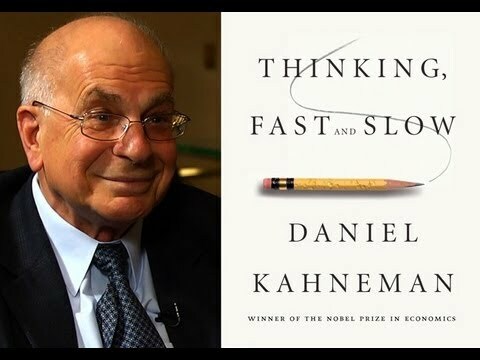 conservatives) who are traditionally part of his enormous audience, but it also leaves the book with an analytical weakness. As Lewis’s narrow depiction of Christie inadvertently shows, technical know-how isn’t nearly enough. You can have a detailed understanding of the technocratic workings of government and still be, politically speaking, extremely unhelpful to the public you’re supposed to serve. 221 pages. W.W. Norton & Company. $26.95. Posted in American Politics, Book Review, Books, Democracy, Global Issues, Governance, Holistic and Balanced Development, Law and Order, Leadership, Public Accountability, The New York Times, US Congress, US Presidency. Posted in Cambodia, Climate Change, Democracy, Environment, Foreign Policy, Governance, Holistic and Balanced Development, Human Security, Multilateralism, UNGA. A fragmented Malay society is making ‘Malay unity’ more urgent for those defeated by GE-14. On 29 July 2018, about 1,500 people gathered at the historic Padang Kelab Sultan Sulaiman in Kuala Lumpur, rallying to defend the status of ‘Malay Muslim rights’ under the theme of ‘Himpunan Kebangkitan Ummah’ (Ummah Awakening Gathering). The rally was intended to stimulate a siege mentality and anxiety among Malay Muslim, as they are facing multiple ‘threats’ from so-called minorities, ranging from the LBGT (lesbian, gay, bisexual, and transgender) community, Chinese-language education groups, Hindu pressure groups, Shia, and ‘liberal Muslims’ as well. With UMNO Youth chief and former minister Asyraf Wajdi Dusuki, PAS secretary-general Takiyuddin Hassan, Bersatu member and former veteran minister Rais Yatim (pic,above) as well as representatives from NGOs such as ISMA (Malaysian Muslim Solidarity), ABIM (Malaysian Islamic Youth Movement) and GAPENA (Gabungan Persatuan Penulis Nasional) attending, this rally hoped for broader Malay audiences beyond the conventional Islamist-minded groups. Yet as I observed at the rally, the participants were mainly PAS supporters, and some were mobilised by ISMA. There was no mobilisation of the crowd by UMNO, ABIM, and Malay-language groups such as GAPENA. While using an Islamic-inflected theme, ‘Himpunan Kebangkitan Ummah’, the key issue was not a religious one at the rally but a language one. It was about rejecting the new Pakatan Harapan (PH) government’s proposed recognition of the United Examination Certificate (UEC), a standardised test for the independent Chinese high school sector in Malaysia. Besides the UEC, the rally also made issues of LGBT visibility and their rights, the polemics surrounding controversial Indian Muslim preacher Zakir Naik, as well as the perceived dominant role of the DAP in the PH government. To some extent, the UEC is to Malaysian Chinese as the Hudud issue is to Malay Muslims. Many Malaysians Chinese support or at least will not object to the UEC’s recognition, but few have gone through such a system. Malaysian Chinese support for independent Chinese high schools is not just about an endorsement of such school curriculums, just as Malay Muslim support of Hudud laws is not always about agreement to enforce Hudud punishments. In the past, PAS has used the call for stricter implementation of Islamic laws as a weapon to ‘out-Islamise’ UMNO. Today, the contestation in political Islam is much more complicated with UMNO, PAS and Amanah (to a lesser extent, Keadilan, Bersatu dan Islamic NGOs) competing against each other. The recognition of the UEC has been always raised by DAP to attack MCA for not being able to campaign Chinese issues. Hudud and the UEC entail identity politics over who can best represent the interests of ‘Malay Muslims’ and ‘Chinese communities’. The strong anti-UEC stand taken by PAS has fed the perception that the Islamist party has become increasingly ‘Malay-oriented’, helping pave ways for the party to work more closely with UMNO. Newly-elected UMNO youth chief Asyraf Wajdi supported PAS leader Hadi Awang’s controversial ‘Hudud Bill’ when he was the Deputy Minister in charge of religious affairs during the Najib era. ISMA, one of the key players in the Ummah rally, is like a combination of UMNO and PAS, campaigning for both Malay supremacy and an Islamist agenda at the same time. A potential alliance of UMNO-PAS-ISMA is in the making, yet it is uncertain whether such cooperation will be further consolidated, as there are different opinions within each of them, as well as the ongoing hostile relations between UMNO and PAS members. The speakers at the rally spoke on different issues with different tones, and not all of them are outright racists nor narrow Islamists. Bersatu’s Rais Yatim, the veteran former senior Mahathir minister, as well as representatives from ABIM and GAPENA, focused on the UEC. They were not necessarily supporting PAS, UMNO or ISMA, but they joined the rally to express their disagreement on the UEC. Indeed, the ABIM leader was the most ‘moderate’ speaker at the day – he did not raise any issue to stir Malay Muslim insecurities. He also reaffirmed his support for vernacular primary schools in Mandarin and Tamil, yet he objected to UEC recognition, seeing such recognition as undermining national language policy and the status of the Malay language. IKRAM, another important Islamic organisation, was absent from the rally – it had given its qualified support for UEC recognition, with a list of conditions. Unlike ISMA, both ABIM and IKRAM (Malaysian IKRAM Association) are PH-friendly Muslim NGOs. The leaders from PAS and its student wing, GAMIS (Gabungan Mahasiswa Islam Se-Malaysia), besides harping on the UEC, also took up other issues related to the LGBT, Shia, and liberal Muslim communities to attack the new coalition’s leadership. For example, Youth and Sports Minister Syed Saddiq was attacked for being ‘hedonist’ and ‘pro-liberal’, while Education Minister Dr. Maszlee Malik was too ‘apologetic’ and “pro-DAP”. The new Religious Affairs Minister Mujahid Rawa was criticised for “not defending Zakir Naik” and for having “compromised on LGBT issues”. PAS leaders tried through these criticisms to portray a more ‘Islamic’ image compared with Pakatan’s Muslim leaders. ISMA leaders set a more exclusionary tone, in speeches such as “if Pakatan Harapan is dominated by DAP, we will bring down PH (Pakatan Harapan), as how we fought the British colonial power”. Such statements indirectly portrayed Malaysian Chinese as “foreigners” who were trying to take power from the “native” Malays. Most of the attention-grabbing placards with slogans such as ‘Pertahan Identiti Negara’ (Defend the Identity of our State), ‘Islam dan Melayu, Identiti Negara’ (Islam and Malay, Identity of our State) and ‘Malaysia Tanah Melayu’ (Malaysia, Malay Land) were prepared and held up at the rally by ISMA members. Some PAS participants felt uneasy with such ultra-exclusionary messages. Very few Malay Muslims in Malaysia are outright racists or narrow Islamists. But a significant portion of them view Islam as their core identity (whatever this implied). And some worry that the increasing usage of the Chinese language might challenge the status of Malay as the national language. Similarly, some fear that the LGBT community’s allegedly increased visibility might undermine the role of Islam as Malaysia’s official religion. The more Muslims openly support LGBT rights and the more Malays speak Mandarin, the more some Malay Muslims want to more strictly define what constitutes Malayness and Islamness. In other words, the increasingly political fragmentation and cultural diversification of Malay Muslims have led some of them to create a sense of ‘Malay unity’ by drawing stricter boundaries between what they perceive as ‘Islamic’ and ‘un-Islamic’ and between who they see as ‘Malay’ and ‘non-Malay’. The makings of religious, sexual and racial others (for example, liberal Muslims, LGBT and Malaysian Chinese) are central for them to consolidate ‘Malay Muslim identity’, and to create a sense of certainty amidst uncertainties. Hence, it is insufficient to analyse Malay anxiety as only a result of political competition or religious conservatism, without looking into the rapid socio-cultural changes experienced by Malay Muslims. Instead of addressing various socio-economic issues faced by Malay Muslims, some politically-motivated groups stir up Malay anxiety, creating a perception that they are representing ‘Malay Muslims’ and manipulating public opinions for their political interests. Such patterns are similar to “Aksi Bela Islam” (Defending Islam Action) in Indonesia, using the banner of “defending Islam” to mobilise political support. Such political mobilisations have forced both Malaysian and Indonesian governments to contain them. In Malaysia, some PH leaders are containing its critics by taking a conservative stand, as shown in the government handling of LGBT-related issues. In Indonesia, President Joko Widodo has selected a conservative cleric as his running-mate for next year’s presidential election, to counter Islamist mobilisation of his opponents. Such containments could prevent the more exclusionary parties from taking political power, yet at the same time might sustain the ‘conservative turn’ and potentially alienate some minority groups. Posted in civil society issues, Conservatism, Democracy, Economy, Education, Ethics, GE-14 Elections, Gender, Governance, Holistic and Balanced Development, Human Rights, Islam Malaysia, Leadership, Malay Fascists, Malaysia, New Mandala.org, Ops Research, PAS, PKR, Political Islam, Public Accountability, Public Management, Racism, The Malays, Tribalism, UMNO. Port Dickson voters will no about receive loads upon loads of promises, at least for the time being. 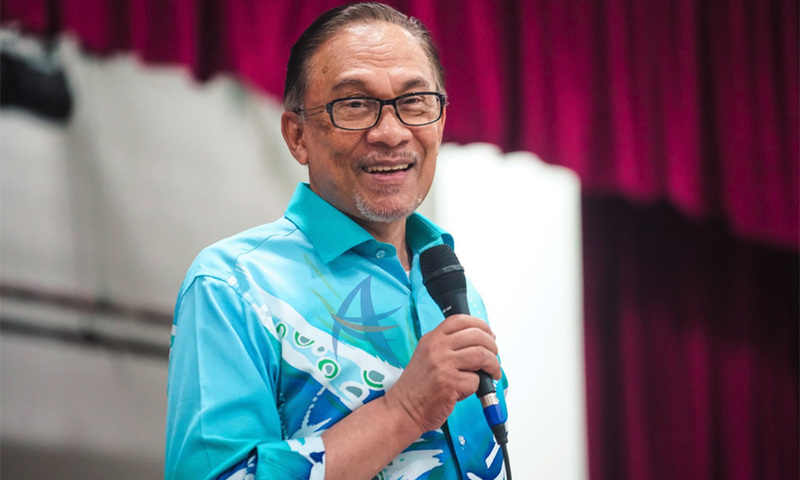 COMMENT | If Anwar Ibrahim does make the cut, invariably, as the Member of Parliament of Port Dickson, perhaps something akin to a healthy rivalry with Langkawi island MP Dr Mahathir Mohammad will be immediately triggered. Key government events should be held in Langkawi, either to brainstorm on the revival of Malaysia, or, the various ministries. Such events are bound to catch on in Port Dickson, too, which is just a short distance away from Putrajaya. Indeed, high-end hotels, over the last 15 years, have also sprung up on Langkawi island (pic above), including the globally renowned Four Seasons. From time to time, it is not rare to see Indian families touring in huge numbers in Langkawi, too, often booking all their suites and rooms at one go. Although Langkawi has also catered to the tourists of Scandinavia and Germany, who can often be seen basking in the sun, no discernible (foreign) presence has been seen at Port Dickson’s beaches as yet. This is where Port Dickson has to stand out. Making its seas and shorelines pristine would make Port Dickson an ideal destination for families and international group tours beyond what has generally been provided to Malaysians. If Anwar Ibrahim does somehow attract more Chinese to the beach town, the facilities in Port Dickson would have to be significantly scaled up – without which, the residents of Port Dickson would be looking at immense traffic bottlenecks and congestion. Such negative externalities of tourism cannot be ruled completely. Polluted air, crowded bazaars, shortage of proper food and medical facilities, too, can all be a turn off to well-heeled Malaysian tourists. In fact, without an iconic landmark, Port Dickson would be at a disadvantage, compared to Langkawi island. Langkawi, for example, hosts one of the longest cable cars in Southeast Asia that allows thousands of tourists to enjoy a bird’s eye view of the whole island. Port Dickson, being flatter, is only known for its small-town feel and delicious local food. Perhaps a high tower should be built that would permit Port Dickson visitors to peer into the Straits of Malacca, and the thousands of ships that pass through it. It would seem that such a service should be introduced, in order to allow Malaysians to take a peek into what goes on in one of the busiest straits in the world. The depths of the quays in Port Dickson should be constantly dredged and deepened, to allow bigger ships and vessels to berth, ideally ships that can ferry passengers across to Sumatera, Indonesia, which is just across the shores of Malaysia. To be sure, friendly ecological themes have to be worked into the grand schemes for all arrangements. Otherwise, a tourism scheme that is merely heavy on sheer human traffic alone is bound to create many side effects, beyond overcrowding, noise pollution, and inadequate waste disposal. Either way, it is first time in the history of Malaysia that a reigning Prime Minister is an MP of a touristy constituency, indeed a tax-free zone to boot, which is Langkawi island. Should Anwar win the Port Dickson seat, the eighth prime minister of Malaysia would have to transform Port Dickson into a major township. Port Klang was previously known as Port Swettenham, in recognition of the tenure of Resident Frank Swettenham in the 19th century. Over the years, Port Klang has morphed into a seafood attraction and high-density port. No one knows if Port Dickson can become the hub of “bunkering,” a business that caters to refueling the ships and vessels that traverse through the Straits of Malacca. If it does, this is an economic sector that is worth no less than US$1 billion a year. At least that is the current size of the bunkering business in Singapore, an idea that was ironically coined by Dr Mahathir previously. It would help if Anwar Ibrahim could come up with such an industry-relevant solution, beyond merely looking to boost tourist numbers in Port Dickson. PHAR KIM BENG was a multiple award-winning Head Teaching Fellow on China and Cultural Revolution in Harvard University. Posted in Anwar Ibrahim, By Elections, Character and Integrity, Democracy, Economic Development, Holistic and Balanced Development, Leadership, Malaysiakini, Pakatan Harapan, Parti Pribumi Bersatu Malaysia, PKR, Tun Dr. Mahathir Mohamad, Uncategorized. Dr. Hwok-Aun Lee is Senior Fellow at the Institute of Southeast Asian Studies (ISEAS), Singapore, with the Malaysian Studies and Regional Economic Studies programmes, Hwok- Aun has researched and published widely on affirmative action in Malaysia and South Africa. He was previously head of Development Studies, Faculty of Economics at University of Malaya. Malaysia’s incipient Pakatan Harapan (PH) government, inheriting the country’s financial debacles and its extensive and complex ethnic policies, negotiates a three-cornered tussle. As a first order of business, it must clear a fiscal morass and deliver on election promises of integrity, transparency, and prudence. The government also strives to accommodate the interests of constituencies it won by a landslide, which brings various non-Malay concerns to the fore. At the same time, PH seeks to allay anxieties of substantial segments of the Malay electorate that remain wary of the new dispensation, and perceived loss of privileges and sureties. This is a difficult balancing act, demanding delicate transitions and bold new mindsets. Thus far, we see firm action on fiscal discipline, and familiar electoral overtures and concessions. But old mindsets endure. Their prevalence, exhibited in the open tender and ethnic reservation policies in public procurement, and in ethnic allocations in higher education, will hinder PH’s capacity to make headway in promoting Bumiputera capability and competitiveness, which are prerequisites for systematically rolling back ethnic preference. Ten years apart, Lim Guan Eng (the Democratic Action Party chief) gave starkly similar policy assurances to Malay contractors – from vastly different positions. The first episode occurred in April 2008 when Lim was catapulted to high office following the 12th General Elections (GE12). As Penang Chief Minister, he assured Malay contractors that his administration’s open tender policy would not sideline them. While announcing the policy a few weeks prior, he justified it as a means to arrest the New Economic Policy’s (NEP) cronyism, corruption, and inefficiency. His words stoked anxiety and ire among some Malay groups. UMNO, hegemon of the Barisan Nasional (BN) federal government, capitalised on these sentiments to foment fiery public protests against Lim. Over 10 years, open tenders were implemented in Penang for larger contracts, while the smallest category was reserved for Malay contractors, in line with BN-prescribed federal policy. The second episode passed in June 2018. Freshly appointed Malaysian Finance Minister Lim Guan Eng affirmed an open tender policy for federal public procurement – backed by the PH’s groundbreaking occupation of Putrajaya. And yet, swift on the heels of this pronouncement, he again declared that the government would not sideline Malay contractors. He even appended a befuddling note that “open tender” means open to all Malay contractors (with more competitive selection). Malay contractors hadn’t protested in the streets, although they had met with the Council of Eminent Persons just two weeks after GE14. Perhaps they were given enough assurances to preempt public dissent, but Lim also strenuously avoided upsetting the status quo. Hence, we see no indication that public procurement procedures may be enhanced and invigorated. Open tenders for medium and large contracts – where non-Bumiputera companies more actively participate – satisfy some electoral constituencies; continual reservation of small contracts for Bumiputera firms satisfies others. This is unfortunate, because Malaysia cannot fulfill the ultimate goal of rolling back ethnic preferential policies – professed by both the PH and BN coalitions for the past decade – unless the country clarifies, enhances, and broadens the ways it develops Malay capability and competitiveness. Public procurement has distributed enormous largesse over many decades, but has fallen far short of its goal of grooming Malay enterprise. To be sure, the policy has in the past been vitiated by UMNO patronage and ‘Ali-Baba’ arrangements where a politically connected UMNO fixer secures the deal and subcontracts the work – typically to a Chinese company. These fronting practices have been tackled in recent years, and the new administration shows added resolve to cleanse and depoliticise the system. But it remains unclear about how it will leverage government contracting for broader developmental objectives. The current state of the sector, with a handful of dynamic large-scale Malay contractors and overwhelming concentration of protected, static small-scale contractors, may well be perpetuated. Three-quarters of Bumiputera contractors are classified as G1, the smallest of seven tiers needing paid-up capital of only RM5,000-10,000 (A$1690-3380), and almost all remain there. In 2011, less than 0.2% of them graduated to G2 or G3. G1 contractors must be 100% Bumiputera owned and qualify for contracts worth RM200,000 (A$67,581) or less, which are allocated via balloting, not tendering. Given these conditions, who would want to move up? The flip side of “not sidelining Bumiputera contractors” is not doing much at all to facilitate expansion, innovation, and competitiveness. A similar scenario has played out in the higher education sphere. Matriculation colleges offer a faster track to enter university, and since their rapid expansion from the late 1990s, have been the predominant pre-university option for Bumiputera students. Matriculation programmes were originally fully reserved for Bumiputeras, but since 2003 they have applied a 10% non-Bumiputera quota. The quota balance, and occasional special allocations, epitomise Malaysia’s political bargain, where size of the ethnic slice preoccupies policy considerations, much more than the efficacy and equitability of the intervention. Pre-GE14, BN promised 700 places in matriculation colleges to Indian students. Post-GE14, PH announced an extra allocation of 1,000 spaces to Chinese students from B40 households (the bottom 40%, based on household income). The addition of socioeconomic criteria marks a progressive step, but simultaneously raises questions over its selective application to one ethnic group. Facilitating more entry of disadvantaged students into higher education should be high on the agenda of a government declaring priority in expanding need-based policies. Understandably, the programme must remain accessible to Bumiputera students. PH is studiously aware that it has not won over the majority of the Malay electorate; analysis of GE14 results show the community’s vote roughly split 35-40% for BN, 25-30% for PH , 30-33% for PAS. PAS has also heightened the volume and fervour of its Malay “privileges” advocacy, alongside its Islamist raison d’etre. Education Minister Maszlee Malik reiterated that the additional 1,000 matriculation spaces for B40 Chinese would not reduce the spaces for Bumiputeras. So matriculation colleges will remain predominantly reserved for Bumiputeras, perhaps with continual allotments to particular groups. However, allocating more quotas for other groups lowers the academic bar for more beneficiaries. It continues to set back Bumiputera capability development, due to the deficiencies of the matriculation programme. Studies have shown that matriculation graduates fare poorer than STPM (Malaysia’s A-levels equivalent) graduates upon entry to university. Education disparities are deeply rooted. Advantage and disadvantage overlap with various factors, including ethnicity and geography, and can start from the pre-school stage, setting students on diverging academic trajectories. While matriculation colleges cannot be expected to close the achievement gaps they can arguably play a more meaningful and effective role in narrowing them. To Malaysia’s ultimate detriment, the content and rigour of the matriculation programme are never brought to the table. Interestingly, Maszlee has mooted the notion of a single pre-university system, which entails merging the STPM, matriculation, and a host of other university entry channels. It’s a worthwhile consideration, but it does not seem possible until the average ethnic achievement gaps are narrowed, which in turn looks improbable unless the matriculation colleges are revamped. Racial quotas and reservations remain because their removal risks alienating the beneficiaries. Surveys consistently show a substantial majority of Malays favour the continuation of preferential policies. Despite bi-partisan rhetoric since 2010, of shifting away from race-based affirmative action to need-based affirmative action, the vast bulk of Bumiputera preferential programmes have remained untouched, from matriculation and contracting quotas mentioned above, to microfinance, technical training, business loans, scholarships and asset ownership schemes. The vast programmes deliver benefits, and embed expectations of continued special treatment. Mindful of these realities and sentiments, both PH and BN governments underscored their support for the Bumiputera agenda before and after GE14. PH typically highlights the worst abuses of the system, involving UMNO patronage and utilisation of state-disbursed opportunity for private gratification. Cleansing UMNO-linked rapacity from the system addresses one problem – undoubtedly, a big problem – but omits the much wider interventions that reach out to ordinary Bumiputeras. This mindset neglects to pay critical attention to the manifold, massive programmes that serve Bumiputera masses. The sedentary and muddled state of Bumiputera policy warrants a basic reset. The Future of Bumiputeras and the Nation Congress of September 1, 2018, organised by the Ministry of Economic Affairs, necessarily affirmed the Bumiputera agenda while sharply critiquing abuses and shortfalls of the UMNO-administered system, and exhorting Malay business to change mindset. However, the event offered few specific propositions, and omitted distinctions between higher education, enterprise development, employment, and wealth ownership policies. How should the PH government proceed? First, by anchoring Bumiputera policies on the fundamental objective of broadly developing capability and competitiveness, and the prime missions of equipping and empowering the community to graduate out of receiving special assistance, toward rolling back the existing system of ethnic preference. Second, by recognising that Bumiputera policies operate differently in the specific sectors where they are embedded – higher education, high-level occupations, enterprise development, wealth and property ownership – which demands sector-specific reforms. Third, by systematically integrating ways to reinforce needs-based and merit-based selection into the policy regime. Two main applications arise: the policy regime should expand the scope for needs-based selection, where appropriate, to target the disadvantaged and to impose sunset clauses and limits on those who have benefited. In some but not all policy sectors, need-based schemes can feasibly replace race-based schemes. The regime should also expand the scope for merit-based selection to select Bumiputera beneficiaries with capability and potential to showcase success and achieve competitiveness – as pathway to rolling back preferences. The government contracting and matriculation college cases are illustrative, but of course the principles can be applied more broadly. One of the barriers to reform seems to be the fear of introducing changes that may reduce access enjoyed by erstwhile beneficiaries. On this note, there may well be a window of opportunity to reconfigure public procurement, with contractors also expressing discontent at being marginalised by UMNO-linked “cronies”. Additionally, there is a broad acceptance of the need for the system to foster competitiveness. Measures to address the funding constraints that Bumiputera contractors repeatedly identify as their main hurdle to growth. None of these measures will disrupt contract availability in the near term, but in combination, apply pressures and incentives to upscale and graduate out of preferential treatment. The emphasis must be on learning and acquiring capability. An additional point on “needs-based” policies should be emphasised. In public procurement, and enterprise development programmes in general, the proper application of the principle runs counter to the popular notion of helping the poor. When it comes to delivering on government contracts or building competitive firms, one cannot give priority to the poor, which may adversely allocate opportunities to less capable firms, or perversely incentivise firms to remain low-earning and static. Rather than qualify poorer firms to receive special treatment, the “need” principle can apply conversely – that is, to disqualify firms that have received special treatment after reaching certain limits or sunset clauses. In the matriculation system, and for promoting Bumiputera participation in higher education more generally, whether through pre-university programmes, university admissions, or scholarships and financial aid, there is broader scope to reach out to the disadvantaged. It is justifiable for youths from disadvantaged backgrounds to be granted preference based on those circumstances – which are not of their choosing. This intervention, occurring at the pre-adult stage of life, also potentially facilitates inter-generational upward mobility, providing further basis for preferential treatment based on “need” or “class”. Along these lines, Malaysia can explore ways to phase in more preferential entry for disadvantaged students into matriculation colleges, and concomitantly roll back the 90% Bumiputera quota. However, the ultimate goal of building Bumiputera capacity and competitiveness still applies. Hence, academic rigour and quality of training, as well as talent, are vital. Matriculation programmes, in particular, should look into revamping the syllabus, and Bumiputera academic achievement broadly must be overseen such that the system produces graduates who are capable and confident. 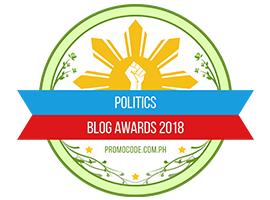 Will current levels of caution and placation on Bumiputera policies persist into the future, or will the PH government seize the opportunity to reform the pro-Bumiputera policy regime? Will it remain fearful of being accused of sidelining Malays, or will it venture forth to make Malays more capable and competitive? Early in the post-election season, we do expect PH to pluck the low-hanging fruit of cleaning up their predecessor’s mess. But the government should not tarry too long before devising long-term strategies beyond electoral overtures and concessions. Time will tell whether PH embraces or squanders the opportunities presented by Malaysia’s monumental GE-14. Posted in Defence-Security, Democracy, Economic and Social Policy, Governance, Holistic and Balanced Development, Malaysia, New Economic Policy, New Malaysia Cabinet, New Mandala.org, Pakatan Harapan, Politics, The Malays, Tun Dr. Mahathir Mohamad.